Dekadenz jewelry combines new technology and expert handicraft. 3D -modeling and printing enable the creation of jewelry that earlier had been impossible. Dekadenz tells a story of new era. ”Our working methods are guided by both curiosity and an ambitious attitude towards the act of making. Through our work, we consider the relationship of the artisan and designer, and their role of making things by hand in the future, in an ever-changing world of new technologies. 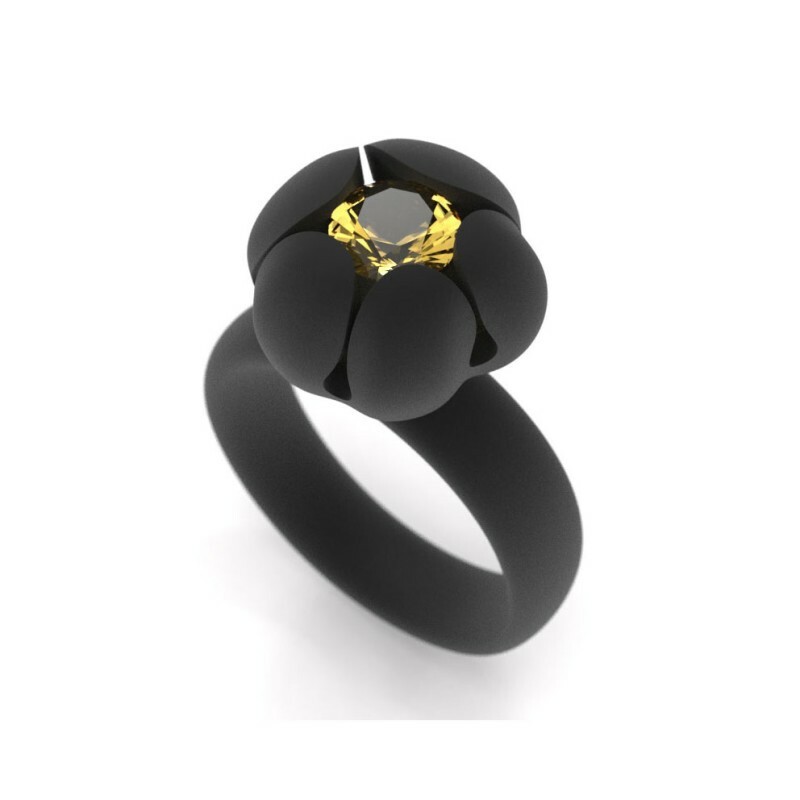 The combination of 3D printing and CNC technology with the traditional techniques of goldsmithery is a source of ongoing inspiration and creates interesting possibilities in design and technical production." Kristian is known as a pioneer of 3D technology in Finland. He is a mix of designer, goldsmith and engineer. Kirsti is a designer, who is always on the lookout for inspiration and is prepared to take great strides to create something new. In her production every decision in terms of form is considered and well founded. She is constantly searching for new materials and solutions. Saarikorpi Design Ltd is situated in beautiful surroundings of Fiskars village, in the old ironworks millieu in Finland. Saarikorpi Design Ltd is founded by Kristian in 2001 and company is specialized in jewellery design and new technologies.